Coastal British Columbia is one of the few places that has a smaller population now than it did early in the 20th Century. All up and down the coast you could find remote logging camps, solitary hand-loggers, fishermen, canneries and settlers eking out a living in remote inlets. Then the canneries closed, support towns disappeared, logging practices changed and higher speed transportation altered the location of population centers. 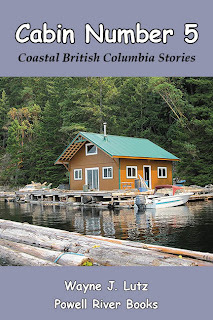 I love my new home in Coastal BC and enjoy reading about what life was like in the early days. Woodsmen of the West, written by M. Allerdale Grainger in 1908, is such a book. Grainger worked in the forestry industry as a chief of records, secretary of a royal commission on logging practices and chief forester. 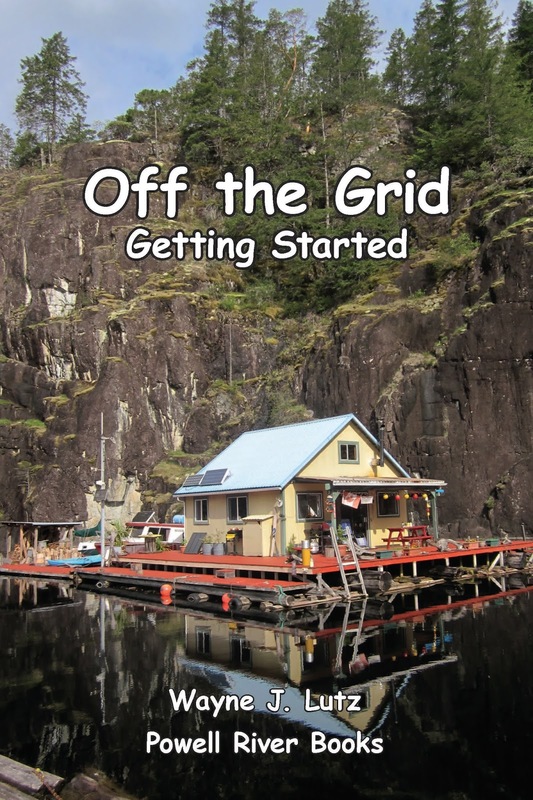 His book is fiction, but it's a realistic account about life in remote forests and camps. The main character is Marty, an immigrant from England who has come to Canada to make his way. You follow him through the hotels, bars and hiring halls on Cordova Street in Vancouver, up the coast on the steamship Cassiar and to the Carter's remote logging camp in Coola Inlet. The book then switches to follow Carter's life and how he became a "Boss logger" and the owner of his own logging camp. It's a hard life for logger and boss alike. You get glimpses of the the pleasures and dangers of working in the forest, evenings around the wood stove in the bunkhouse, and annual trips to the city to drink and spend hard earned dollars. If you are looking for a historical novel that is authentic, I highly recommend Woodsmen of the West. It can be purchased online at Amazon.com, Amazon.ca or Chapters.ca. Just after I left the Shinglemill Marina I could smell smoke, wood smoke. I look all around, but didn't see anything unusual. Then a few more klicks up Powell Lake I could see clouds in the distance. One cloud layer had a pinkish-brown cast. There was the smoke I was smelling. The last several days it had been raining, so I knew what it was -- the logging company was burning a slash. A year and a half ago they logged a hilly section behind our friend Peter's cabin on Henderson Bay. Once the salable logs were removed and floated down the lake, the limbs and small logs littering the ground were heaped into huge piles. There they've sat to dry and cure. Now that fall has arrived and the danger of forest fires has passed, the piles can be burned. Burning excess forest fuels helps clear the ground for new plants to grow. It also reduces excess amounts of forest debris that might fuel forest fires during dry, warm summer months. It is still a little unnerving to see unattended piles of trees and brush burning in the bush. If you didn't know better, you might think it was a forest from a distance. I continued to see the smoke from the cabin for two days. Wayne is usually the one who gets to have alone time at the cabin. That's because I frequently travel to the States to visit my mom. But this week it was my turn. I got three glorious days by myself at the cabin. It's not that I don't enjoy my husband's company, it's just that I can get up when I want, do what I want during the day, and head for bed when I want. It's just nice to be on your own for a change. This trip I got to work in my floating garden. I pulled up the tomato plants, trimmed the herbs and dug up the last of my potatoes from the garden patch on the cliff. My carrots, peppers, zucchini and beets are still producing, so I left them in the ground for now. The first night was still and quiet. The sky was full of stars and the lake water gently lapped at the float logs, lulling me to sleep. The next night rain drops drummed a soft tune on the roof. This storm wasn't accompanied by wind, so the cabin didn't rock and roll to the rhythm of the music, not like my first week alone at the cabin in 2001. 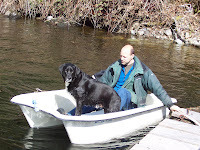 Back then I didn't know much about float cabin living. A fierce November storm blasted across Coastal BC. Hole in the Wall is usually very protected, except when the southeasterly winds blow hard. Then they come at the cabin face on. That night they were so strong I could hear the clothes line on the front porch singing like a tuning fork. Then two of my four shore anchor cables gave way. I was at the mercy of the wind with no other choice but to ride it out. Frequent satellite phone calls to Wayne, who was back in Los Angeles watching the storm on the Weather Channel, helped me through the night. When things cleared in the morning I was still shaken and scared, but everything had made it through fine. A quick call to John and he was on the way up the lake to tie up the cabin until repairs could be make at a later date. After that Wayne jokingly called me "Frontier Jane." In fact, I became famous under that name in Wayne's first book Up the Lake. Between storms, fall brings clear blue skies in Coastal BC. Riding BC Ferries to and from Powell River is a good time to get sky views. Powell River is on the coast about 100 km north of Vancouver, but it takes two ferry rides to get here. That is one reason we have a town with a strong sense of community and why we are less hectic and crowded than the lower Sunshine Coast. After you drive the length of the lower Sunshine Coast on Highway 101, you arrive at the Earl's Cove ferry terminal. You pay the fare for the whole trip at Horseshoe Bay, so all you have to do is park in the ferry lineup. Locals and visitors alike enjoy the views of water, sky and nearby mountain peaks. It's fall and the deer mice in Hole in the Wall are all looking for warm winter homes. When night falls, you can find them running outside the cabin walls, climbing on the picnic table and exploring our wood storage barrels. Wayne and I don't like to kill our animal neighbors, even mice. So we've decided on a catch and release program as ridiculous as it may sound. We've been very lucky that mice haven't gotten into the cabin and we want to keep it that way. Earlier I shared about using a Havahart live trap to capture and relocate mice. It works fine, but at one mouse a night it could take a long time to get rid of the problem. One night I couldn't sleep and came up with a brainstorm I call Margy's Mousie Mechanism. With this "better" mouse trap we can capture multiple mice in one night. The design is simple. It starts with a large plastic tub. We have lots of these around the cabin for a variety of purposes. Some scrap lumber was used to fashion a ramp and "diving board" into the tub. A few dabs of peanut butter completes the trap and it's ready to set up on the mouse trail along the cabin wall. Rainy day, shady and gray. Today's rainy. As I sit in my Powell River condo, nearby Harwood Island fades in and out of the wet gray sky. The approaching ferry is like a ghost ship breaking through the gloom. It's time to curl up with a book and read away the hours. There's lots of good places in Powell River for books. Today I'd like to highlight Coles The Book People. 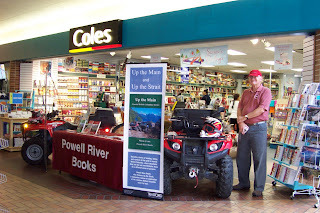 Coles Bookstore is located in the Town Centre Mall near Overwaite. Corrine, the manager, and her friendly staff help customers find just the right title. If she doesn't have it, she'll order it for you. Corrine is a great friend to local authors. 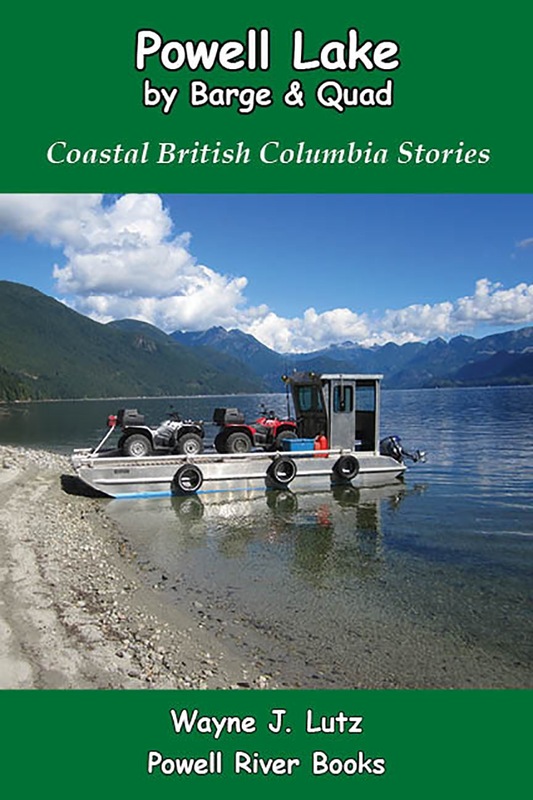 All six of Wayne's Coastal BC Stories books are prominently displayed on her "Local Interest" shelves. Corrine has also hosted several book launches and slide show presentations to help promote our books. Brody, Bro for short, is our good friend John's Labrador Retriever. He's a black Lab with lots of character. If you've read any of my husband's Coastal BC Stories books, you know who Bro is. He's a central character in many of the stories. That's because John is the other central character, and everywhere (and I mean EVERYWHERE) John goes, Bro goes. Wayne and I call Bro our rent-a-dog. It's hard to have a pet of our own, but when John comes to visit, we get to enjoy Bro. The first thing he does is his "crazy man dance." His whole body wiggles and he rubs his head against your leg until he gets all the scritches he wants. Then he calms down, but never strays far from the action. Bro is getting older and his joints aren't what they used to be, but he still loves a good ride on the back of John's quad through the Powell River back country. 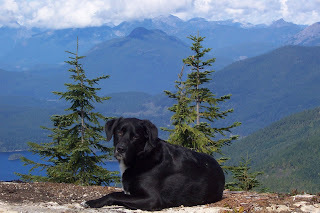 He still gets off to hike some of the more difficult trails, but it takes him a little longer. When we meet people on the trail they often say, "Is that Bro? If so, you must be John." You can see who the real star is. 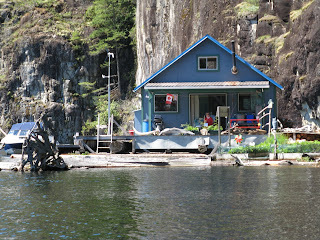 For the last two months, our Powell Lake float home has been highlighted in an article in Our Canada magazine. Our Canada is a great magazine that is made up of articles by Canadians for Canadians. You can submit an article, and if it is are selected for publication, you receive a year's subscription as a thank you. Wayne submitted the article "Up the Lake" and it became the first article in a new series called "Our Dream Home." What an honour. Two things really surprised us. First is how many people read the magazine. This was evident because of the increased traffic to our website and blog, and comments from friends and people we've met. The second is how many people took the time to send personal e-mail messages. Many of the messages congratulated us for finding our dream home and living out our dream. Many others had questions about our life and lifestyle. 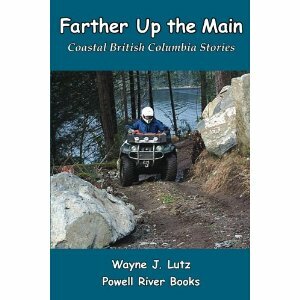 In Wayne's two books Up the Lake and Farther Up the Lake he has included many chapters about life in our float cabin on Powell Lake. I've also shared lots of information and tips here on my blog. But in honour of all those questions I am going to use the next few weeks to answer some of the more frequent ones. I hope you enjoy. How did you find your dream home? How is Bro (the wonder dog) doing? How can you be satisfied with you new simplified lifestyle? Don't you get cabin fever in such a small space? Would you ever move permanently to Canada? And more down to earth, how do you go to the bathroom?